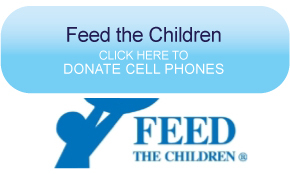 Support your local charity with your used cell phone donations. Pacebutler is proud to announce that we are currently helping raise funds for several major charities and non-profit organizations through cell phone donation. 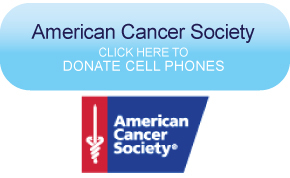 Now, you can donate cell phones to your preferred charity or non-profit through Pacebutler on this page. At present, we are working with organizations like the American Cancer Society, the Salvation Army, Soldiers' Angels, Rock the Earth, and the St.Jude Children's Research Hospital. These non-profit and charity organizations are all working hard to combat diseases, care for our children, save the environment, and support our men and women in uniform and their families. 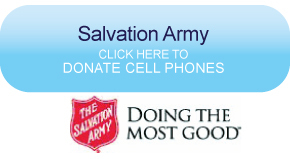 Your cell phone donations will go a long way in helping these institutions continue their beneficial work. Here's how it works. 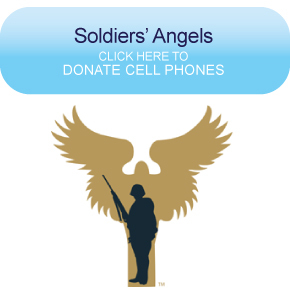 You can select any of the non-profit or charity listed on this page to benefit from your cell phone donation, fill out a form, print out the mailing label, and then send your old or used cell phones to us. Once we have the phones, we will determine the value of these and then mail a check on your behalf to your preferred non-profit. You will also receive a donation receipt that may be used for tax purposes. Cell phones contain toxic heavy metals and should never be deposited in landfills. By donating your used cell phones you can be sure that these will be disposed of properly while helping fund your preferred non-profit. That old cell phone tucked in your drawer could help save the life of a child or help conserve endangered rainforests. Boys & Girls Clubs offer programs and services promote and enhance the development of boys and girls by instilling a sense of competence, usefulness, belonging and influence. Feed The Children is a Christian, international, nonprofit relief organization with headquarters in Oklahoma City, Oklahoma, that delivers food, medicine, clothing and other necessities to individuals, children and families who lack these essentials due to famine, war, poverty, or natural disaster. Last year, Feed The Children shipped 135 million pounds of food and other essentials to children and families in all 50 states and in 32 foreign countries. 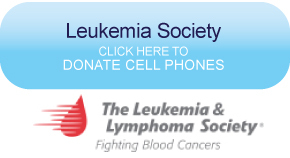 The Leukemia & Lymphoma Society is the world's largest voluntary health organization dedicated to funding blood cancer research and providing education and patient services. The LLS mission: Cure leukemia, lymphoma, Hodgkin's disease and myeloma, and improve the quality of life of patients and their families. Since its founding in 1949, LLS has invested more than $600 million in research specifically targeting leukemia, lymphoma and myeloma. The Salvation Army provides shelter, feeding programs, senior citizen programs, social services, disaster services, youth programs, drug and alcohol rehabilitation, transportation, clothing assistance, Christmas cheer programs and worship programs. As a volunteer-based nonprofit, they have over 30 different teams supporting all branches of the U.S. Armed Forces. Through special projects, dedicated teams and individuals supporting our troops, they make a visible difference in the lives of our service members and their families. 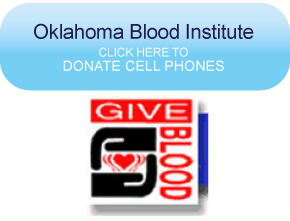 Their Slogan: "May no soldier go unloved"
Today, Oklahoma Blood Institute (OBI) is the eleventh largest non-profit regional blood center in America. It projects a need for 220,000 units of blood a year and provides transfusion blood products and clinical services to more than 150 medical facilities in Oklahoma and north central Texas with the help of nearly 700 employees working with as many as 800 volunteers and 2,600 drive coordinators. Recycle Cell Phones to help your community.